Answer: In religion, all those who believe in the Lord think that all of God’s word and work is contained in the Bible. God’s salvation in the Bible is complete, and there is no word and work of God outside of the Bible. Belief in the Lord is to be based on the Bible and sticking to the Bible. As long as we don’t leave the Bible, when the Lord comes we will be taken up into the kingdom of heaven. Such a viewpoint might conform with people’s notions and imaginations, but is it based on the words of the Lord Jesus? Can you guarantee it conforms with the truth? The Lord Jesus has never said that God’s word and work are all recorded in the Bible, that there is no word and work of God outside of the Bible. This is true. People who understand the Bible all know that the Bible was put together by mankind many years after God’s work. God’s work came first, and then the Bible. In other words, every time God completed a stage of His work, those who experienced God’s work would record down God’s word and work from that time, and these records were compiled by people into the Bible. When we think about it, how could the work God has not yet done be compiled into the Bible in advance? God’s judgment work of the last days, in particular, could not possibly have been recorded in the Bible. The New and Old Testaments have been part of the Bible for nearly 2000 years. Almighty God has only just started His judgment work of the last days. Therefore, the word and work of God in the last days could not possibly have been recorded in the Bible thousands of years ago. Isn’t that a fact? In the last days, Almighty God has performed the work of judgment beginning from the house of God, expressing several million words. These words are all truths that purify and save mankind, and are the way to eternal life brought by Christ of the last days. They have already been compiled into the Bible of the Age of Kingdom. 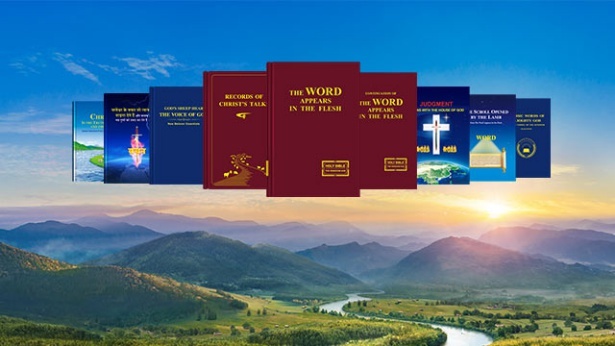 This is the book, “The Word Appears in the Flesh.” Though the truths expressed by Almighty God were not recorded in the Bible in advance, they have completely fulfilled the Lord Jesus’ prophecies. “I have yet many things to say to you, but you cannot bear them now. However, when he, the Spirit of truth, is come, he will guide you into all truth …” (Jhn 16:12-13). “He that has an ear, let him hear what the Spirit said to the churches” (Rev 2:17). The truth expressed by Almighty God has completely verified that Almighty God is the embodiment of the Spirit of truth. He is the incarnate God. All words expressed by Almighty God, that is, the expressions of the Spirit of truth in the last days, are words from the Holy Spirit to the churches. Do we dare say these are not the words of God? Do we still dare deny this? If we see the reality of God’s speaking and working in the last days, would we still say all of God’s words are recorded in the Bible and that there is no word and work of God outside of the Bible? 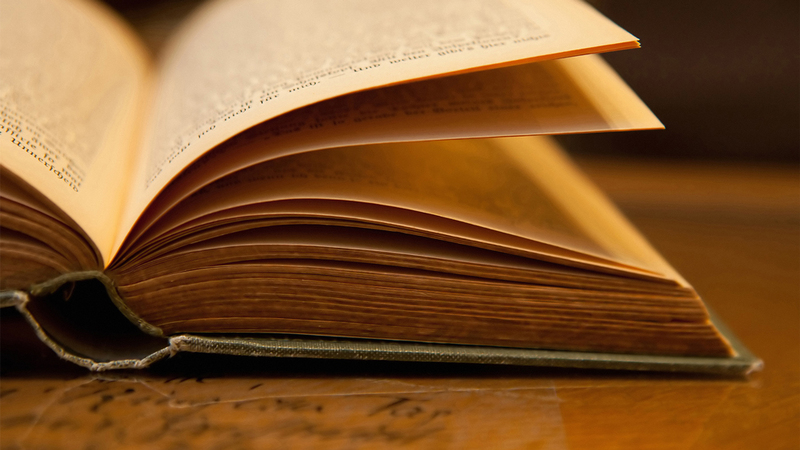 We don’t understand the inside story of how the Bible was formed. We don’t know the fact that the Bible was formed only after God completed each stage of His work, and yet we arbitrarily conclude and determine that there is no word and work of God outside of the Bible. Aren’t we quite arbitrary and absurd? If we do not understand how the Bible was formed and its inside story, it can be very easy to deviate on the path to believing in God. In fact, during the two stages of God’s work in the Age of Law and the Age of Grace, all of the words expressed by God were not completely recorded in the Bible. For instance, in the Age of Law, there were some prophets whose prophecies were not recorded in the Bible. In the Age of Grace, there were even more words spoken by the Lord Jesus. But the words recorded in the Bible are too limited. Just think. The Lord Jesus preached on earth for three-and-a-half years. How many words would He have spoken each day? How many words would He have spoken each sermon? There were way too many sermons and words spoken by the Lord Jesus in those three-and-a-half years. There is no way anyone would be able to calculate it. Just as John the Apostle said: “And there are also many other things which Jesus did, the which, if they should be written every one, I suppose that even the world itself could not contain the books that should be written” (Jhn 21:25). Let’s now look at the Four New Testament Gospels. The words of the Lord Jesus recorded in these are too limited! It’s only the tip of the iceberg! If the Lord Jesus had only said those few words in the Four Gospels during those three-and-a-half years, how would He have been able to conquer the people who followed Him at the time? How would the work of the Lord Jesus have been able to shake up all of Judea? Therefore, it is certain that the words of God recorded in the Bible contain only a very limited portion, certainly not all the words spoken by God during His work. This is a fact nobody can deny! We all know that God is the Lord of creation, the source of mankind’s life, the wellspring of living water that never runs dry. God’s richness is inexhaustible in supply and always available for use, whereas the Bible is merely a record of the first two stages of God’s work. The amount of God’s word that is recorded is far too limited. It’s like a drop in the sea of God’s life. How could we delimit God’s word and work to just the Bible? It’s as though God could only say those limited words in the Bible. Isn’t this delimiting, belittling and blaspheming God? Therefore, to delimit all of God’s word and work to the Bible and to think that there is no word and work of God outside of the Bible is a major mistake! “The fact I am explaining here is this: What God is and has is forever inexhaustible and limitless. God is the source of life and all things. God cannot be fathomed by any created being. Lastly, I must still remind everybody: Do not again delimit God in books, words, or His past utterances. The only characteristic of God’s work is embodied in one word—new. He does not like to take old paths or repeat His work, and moreover does not want to be delimited to a certain scope to be worshiped by people. This is God’s disposition” (Afterword to The Word Appears in the Flesh). Previous：Question (3): We think all of God’s word and work are recorded in the Bible. There’s no word and work of God apart from the Bible. Therefore, our faith in God must be based on the Bible. Is that wrong? Next：Question 5: Paul made it very clear in 2 Timothy that “the entire Bible is inspired by God” (2Ti 3:16), This means that every word in the Bible is the word of God, and that the Bible represents the Lord. Believing in the Lord is believing in the Bible. Believing in the Bible is believing in the Lord. Moving away from the Bible means not believing in the Lord! Our belief in the Lord only requires us to hold firm to the Bible. Even if we do not accept Almighty God’s work in the last days, we’ll still be able to be saved and enter the kingdom of heaven. Is there anything wrong with this understanding? Almighty God says, “… Paul’s letters in the New Testament to the churches were not the revelation of the Holy Spirit, nor words directly from the Holy Spirit; they were simply Paul’s exhortation, consolation, and encouragement to the churches during the time he worked, as well as a record of much work done by him. … Everything he said that edified others and had a positive effect was correct, but his words did not represent the words of the Holy Spirit, and did not represent God."